It’s been almost a month since I last posted. I’ve been so busy lately that my blog and my nails have been feeling very neglected. Despite my lack of time and the unending list of things to do, I somehow managed to fit a few manicures in. I even took some pictures! Because I had no time to post them then, I’ll be posting them over the next week as I finish my first year of college! 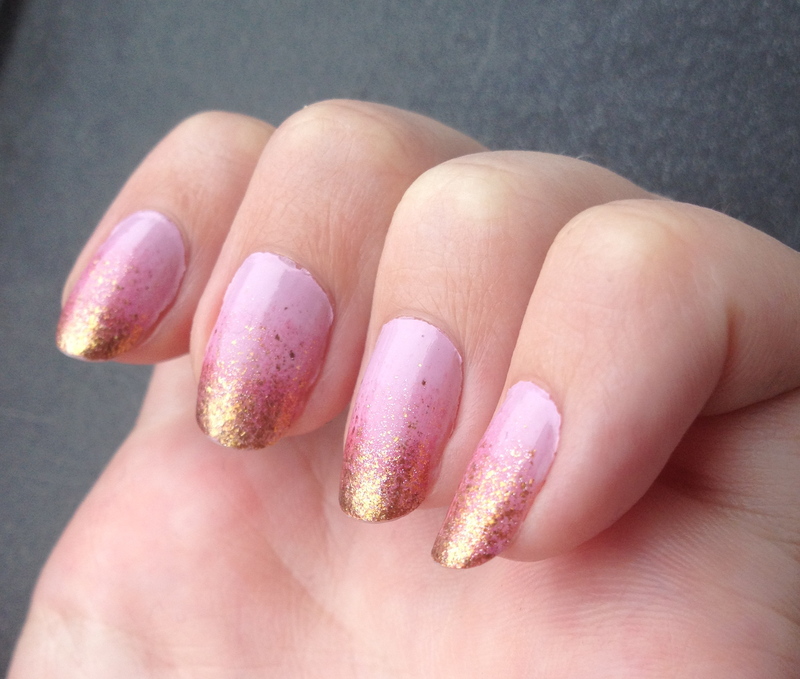 Let’s start off with what may be my best gradient manicure yet! Using OPI’s Panda-Monium Pink as the base, I knew I wanted to keep with the pink trend but I didn’t like my options (I’ve already sent the majority of my collection home for the summer). 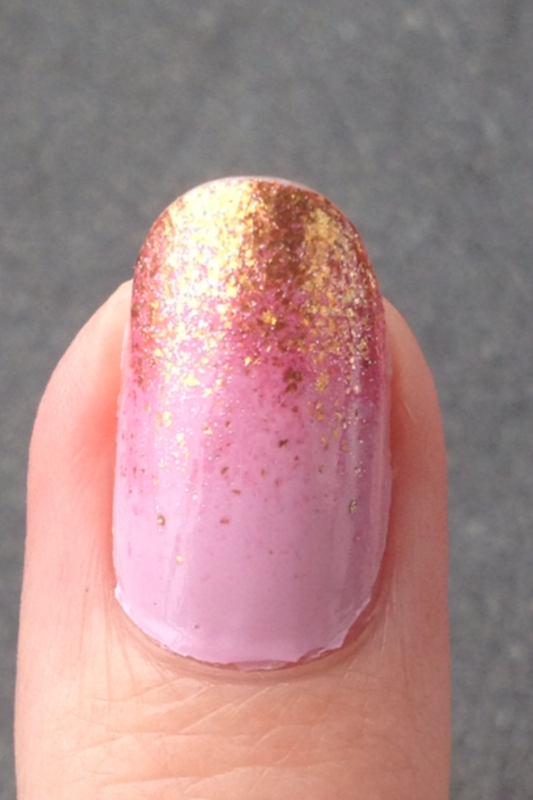 On a whim, I decided to use Zoya’s Faye, which I have never tried before. I was actually expecting it to look a lot like Tiffany, but where Tiffany was pink, Faye was much more purple and the gold flakes were more prominent. While the two look the same in the bottle, their actual differences really surprised me. I’m so glad I got them both, they’re such gorgeous colors. And now for the pictures! 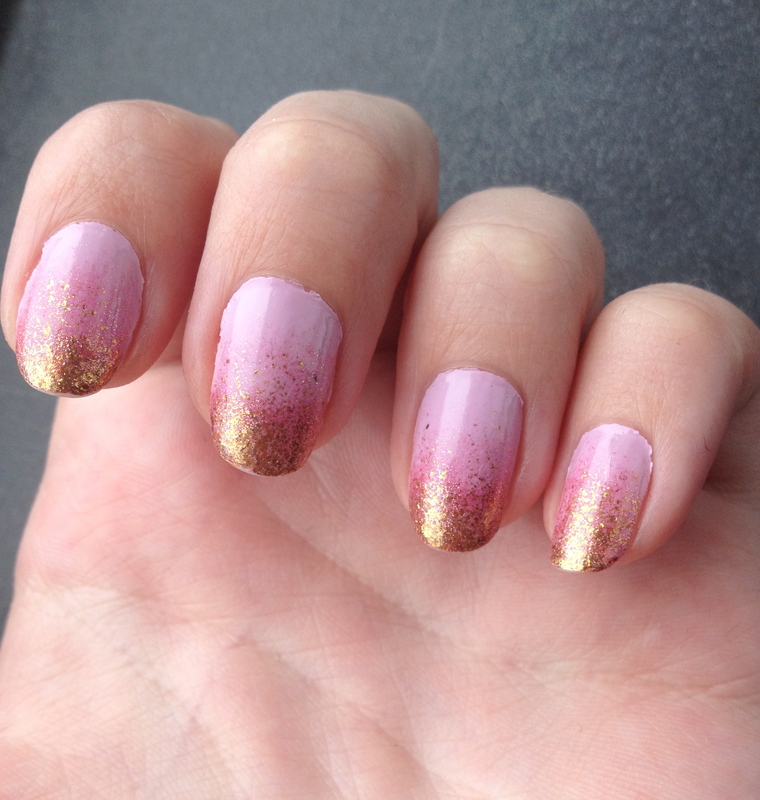 I did two layers of Faye for the gradient so as to make the gold more intense. This manicure also helped my ballroom friends realize just how obsessed I am with nail polish and nail art. I inspired a couple of the girls to try out the gradient using their own colors and I’m really glad I have more people to share the fun with! Stay tuned for my polka dot manicure later!